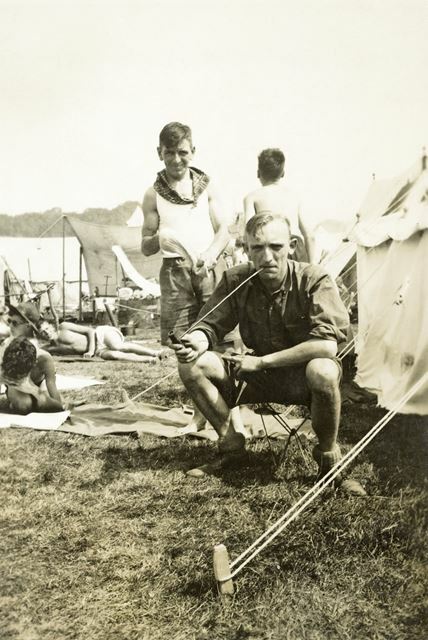 Fifth World Scout Jamboree, 30th July-13 August 1937. Photos of the Derbyshire contingent, particularly of the Chinley Scout Troop. Charlie is shown here smoking an old Dutch pipe.